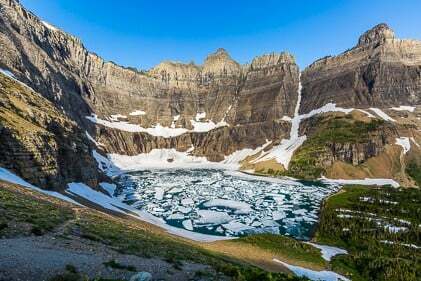 Mount Brown in Glacier National Park | Get Inspired Everyday! Mount Brown in Glacier National Park | Get Inspired Everyday! 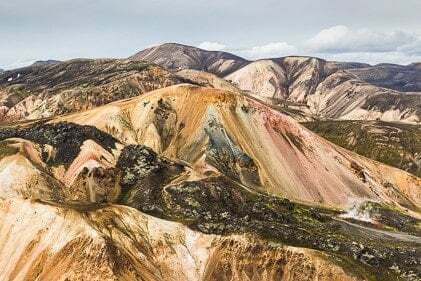 We were lucky enough to have an extra long hiking season, and we climbed mountains right into November of last year which is pretty much unheard of! Around here you’re usually relegated to skis or snowshoes by October, but we definitely enjoyed the extra long fall season. It feels like forever and a day since we’ve stood on top of a peak, even though it’s only been a couple months. But winter really drags on around here, and it’s been fun going through our photos and writing about these adventures for you! Mount Brown is kind of a beast to hike, whether it’s winter conditions or the height of summer. 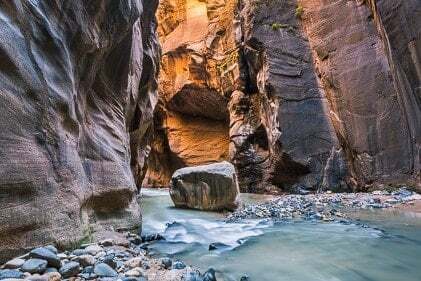 The trail gains right around 5,000′ in 5 miles, so expect leg burning on the way up, and very sore quads from the hike down. I actually find descending so much elevation to be worse than gaining it, and it can be really hard on anyone with knee trouble. The views at the top, as you can see, are absolutely beautiful! 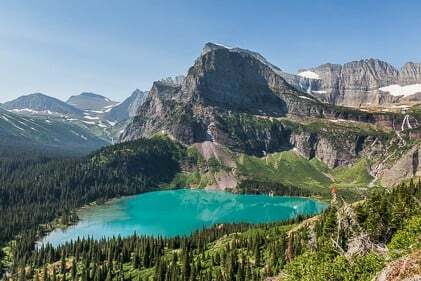 However… that being said, I wouldn’t hike Mount Brown if you only have a few days in Glacier National Park. It’s just too much energy expended for views at the top, when you can hike the Highline Trail with much less effort, and non-stop views all day long! If you’re looking for some peace and quiet though, Mount Brown is definitely one trail less traveled in the park due to it’s difficulty. 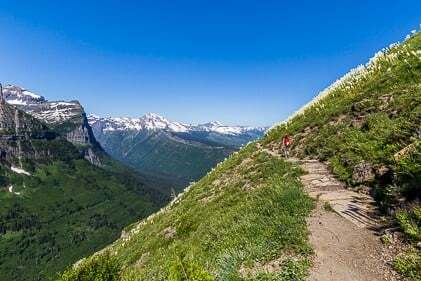 I’ve talked to several people who named it as their favorite hike during their stay in Glacier. But I think you just need to know your personality before undertaking this one! 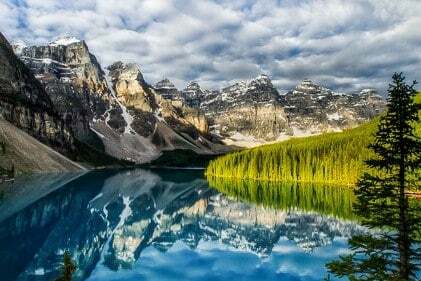 You’ll definitely be rewarded with these gorgeous views and less people if that’s what you’re after. You just have to climb upwards through hours of trees before getting a single view. On our way up, we noticed someone who had gone before us had kept track of the number of switchbacks, writing the number in the snow at every corner. And it’s definitely not a mistake, there really are 29 switchbacks before the last final stretch to the summit house. The actual summit of Mount Brown is off to the right in the above picture. I’ve never been up there due to time constrictions and too much snow in this case, but you can find more info about it in the book Climbing Glacier. Oh and I should mention the true summit is a scramble which means off trail. I’ve hiked Mount Brown at least 3 times, and crazily enough I actually ran it once back in my running days long before the car accident injuries. My two favorite seasons to hike this one,(or run it if you’re crazy) are fall and early winter before the snow gets too deep. The fall color viewed over Lake McDonald from this hike is gorgeous, and as you can see, some snow makes it pretty much magical!